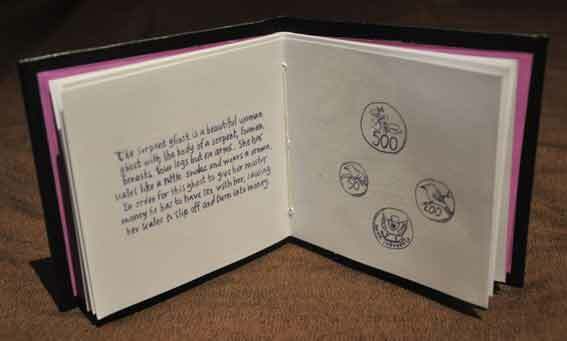 Ghosts of Indonesia is an artist’s book featuring illustrations and descriptions of local types of Indonesian ghosts, as told by a real life ghost mover and translated from Javanese. The images are silm screened in glow in the dark ink and the ghosts appear when the lights are turned off. 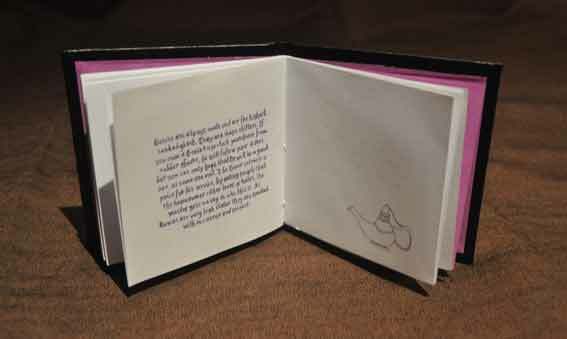 Ghosts of Indonesia (2011), hand bound, glow in the dark, gold blocked, risograph and silk screen, 10.5 x 10.5 cm, Edition of 50, 2012. Ghosts of Indonesia, hand bound, glow in the dark, gold blocked, risograph, Edition of 50, 2012.